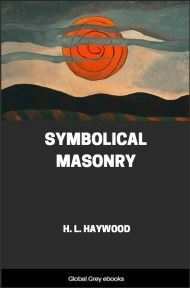 Contains lots of information about the Masonic rituals. 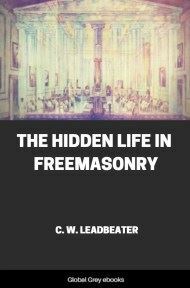 Mixed in with this is historical material on the Templars, stories from the Bible, songs, poetry, sermons, a lot of blank forms for all occasions, and bits of advice. 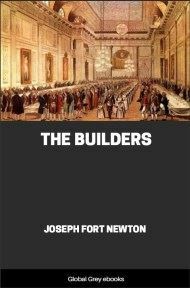 "The Ritual of the Red Cross was manufactured by Webb and his associates from kindred degrees not of this Order. It requires no argument to demonstrate that this degree has no connection whatever with the orders of Christian knighthood, nor never should have been incorporated into an order whose sublime teachings are of Jesus as the Redeemer of the world—in his mediatorial character, as the way, the truth and the life." The equally scholarly and thoughtful Sir George S. Blackie made a report to the Grand Commandery of Tennessee, May 9, 1871, in which he used the following strong language: "The inconsistency is glaring—the ceremonies are foreign to Christian knighthood. How utterly out of place does the Christian candidate appear when, as a preliminary to the glorious truths of the New Testament, he is introduced to a Jewish Sanhedrin, captured by pagan soldiers, and after having been entertained with an apocryphal legend at the banquet of a pagan monarch, he is sent out into the world without having heard of the name of Christ." The unanimous adoption of the revised Ritual of the Illustrious Order of the Red Cross by the Grand Encampment, in Denver, on August 10, 1892, explains and settles the misconceptions of these dear Fratres forever, and yet a few words may not be out of place at this time. The Illustrious Order of the Red Cross is not a pagan rite, nor is it a mere social observance. It is an Order founded upon Truth, recognizing the God of Truth as the only one true and living God. As such it is a proper preparation for the solemnities of the Order of the Temple. Darius believed in the same one that Israel did when he registered a vow with that God to rebuild His Temple in the destroyed city of Jerusalem. No doubt he registered that vow under the promptings of his Jewish friend, Prince Zerubbabel, who was the recognized Chosen of God. Darius kept that vow, demonstrating his love of Truth and his reverence for Judah's Jehovah. The most exalted Truth was present implicitly, in Judaism, and the Law of Judaism was the schoolmaster that brought us to Christianity. The most exalted Truth is now explicit in Christianity. In Judaism it was the seed, then the blade, and then Christianity ripened it into the ear. 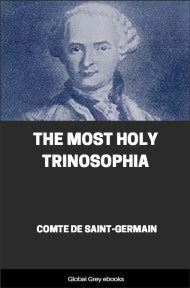 So is the Truth of all truths implicitly in the Order of the Red Cross, and the candidate finds that same truth, but explicitly, in the Order of the Temple. 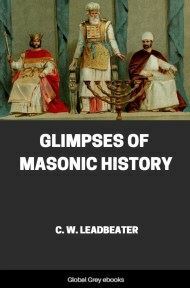 As Judaism was a preparation for Christianity, so let, the Illustrious Order of the Red Cross be a preparation for the Christian Order of the Temple. The Scriptures inform us that for their own sins, and those of their forefathers, the Jewish people were led into captivity by Nebuzaradan, chief Captain of Nebuchadnezzar, King of Babylon. As slaves they tilled the valleys of the Euphrates, and of the Tigris, until Cyrus destroyed the Chaldean dynasty. During that captivity Zerubbabel, Crown Prince of the House of Judah, and Darius, son of Hystaspes, formed an alliance of friendship which was probably terminated with death only. One of the first acts of the conqueror Cyrus was the liberation of the Jewish captives; he then permitted them to return to Judea, that they might rebuild the city of Jerusalem and its Temple, which Nebuchadnezzar had destroyed. The foundation stone of the Second Temple was laid 535 years before Christ; Zerubbabel, the Royal Prince, Joshua, the High Priest, and Haggai, the Prophet, laying the same. Cyrus died, and his son, Cambyses, succeeded him on the Medo-Persian throne. On complaint of the Cutheans, and other contiguous tribes, Cambyses commanded the work upon the city and Temple to cease. During the nine years that followed, scarcely anything was done on the walls of Jerusalem, or its Temple. Cambyses died and the Magians seized the throne, from which their usurper was driven with great slaughter, in a little over a year. Then the Seven Great Families of Persia laid hold of the government, and Darius ascended the throne. He appointed Zerubbabel, his friend, to be the Governor of the Jews that had returned to Jerusalem under the decree of the great Cyrus, and afterwards made him stand in the royal bed-chamber, as the Guard of his body. There were three of these Guards, and they were chosen because of the monarch's implicit confidence in their loyalty. 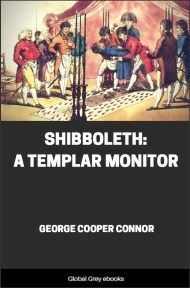 Fifteen years after the Jews had laid the foundation of the Second Temple they were forced to call a Grand Council to consult about the state of the country. Cambyses was dead, and the Magian usurper, Smerdis, had been driven from the throne, to give place to Darius, son of Hystaspes, whose favoring of the Jews was believed to be almost as marked as was that of the great Cyrus. Darius spread a feast at his capital, and invited thereto the Princes of Persia and the Rulers of the Medes. That feast having been thoroughly enjoyed, "they every one departed to go to bed at their own houses, and Darius, the King, went to bed."